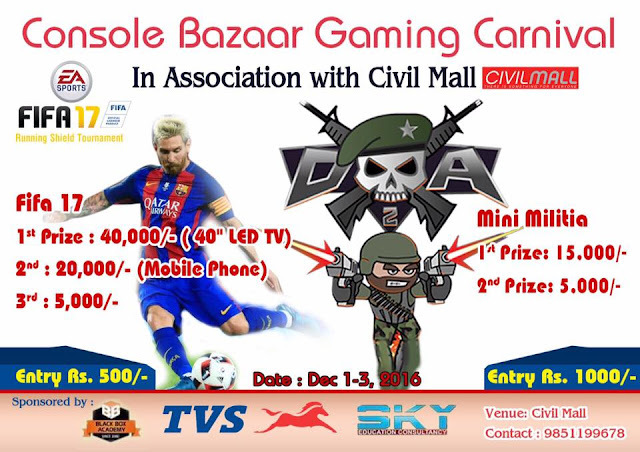 Right after the biggest event of Nepal E-Sports Championship(fifth edition) organized by ngamersclub.com now Console Bazaar Gaming Carnival is happening. It is going to be held in Kathmandu, Nepal Civil Mall from Dec 1-3, 2016. This Carnival consist of 2 games Fifa 17 and Mini Militia.